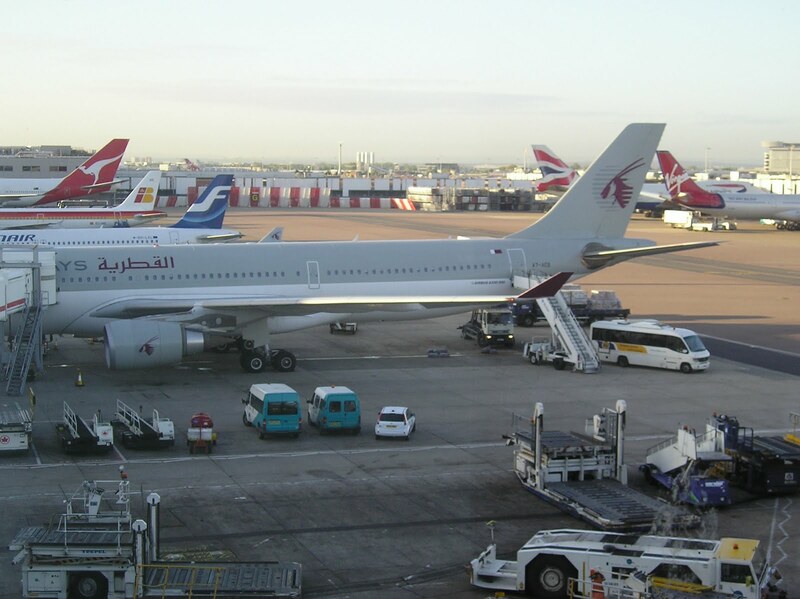 Qatar Airways has officially announced details of a massive expansion plan in Europe and Southeast Asia which shall commence from the on set of the IATA Winter 2010 season. This includes the addition of 6 new cities to its ever expanding global network which include Phuket, Hanoi, Brussels, Budapest, Bucharest and Nice. In addition, QR has too revealed on the GDS that it shall be adding a third daily nonstop flight to BKK-Bangkok from Nov 2nd 2010 onwards using an Airbus A 330-300. This third daily flight enables connections in both directions via DOH to North America and all EU/African cities that depart between 745-1045am Doha time. BRU - new 5 weekly nonstop flights to be flown using an A 332. HKT (Phuket) - new daily flights to be flown using an A 333 via KUL with full 5th freedom rights. HAN - new four weekly flights to be flown using an A 333 via BKK with full 5th freedom rights. SGN (Ho Chi Minh City) - frequencies increased from 4 weekly to daily flights using an A 332 i.e. 3 weekly via BKK with full 5th freedom rights + 4 nonstop. BKK - frequencies increased from double to triple daily nonstop flights using a B 777-300ER double daily + daily A 333. NCE - new three weekly flights to be operated via MXP using an A 333. BUD/BUH - new 4 weekly flights to be flown using an A 320 as a tag on triangular service. Out of all these flights, BRU and Vietnam I feel has the best chance of being successful. Unlike its other EU route launches, BRU has a standardized timing which allows excellent connections via QR's Doha hub to connect beautifully in both directions to all of QR's Southeast Asian destinations + KHI, CMB, DAC and KTM. They will get a good amount of high yielding business class traffic on this route and give Etihad a tough time henceforth. With regards to HAN, its an excellent move to fly there via BKK with 5th freedom rights especially now since Air France will be suspending flights to the city from October onwards. With HAN being the capital of Vietnam, one would expect QR to get a good amount of high yielding J class flying political/military traffic on board bound to Europe and GCC in particular. MAA - capacity increased from daily A 343 to 6 weekly A 346s + weekly A 343. CPT - frequencies increased to daily nonstop flights using a B 744. AUH/MCT - frequencies increased to daily flights using an A 333 six times per week + weekly A 343. ICN - frequencies increased from 5 to 6 weekly nonstop flights using an A 346. ATL - capacity adjusted from daily A 343 to daily A 333. JNB - capacity increased from daily B 744 to 3 weekly A 380s + 4 weekly A 346s. LOS - capacity adjusted from daily A 333 to daily A 343. ALA - frequencies increased to daily nonstop flights using an A 343 twice a week + A 333 five times a week. DFW - capacity adjusted from daily A 343 to daily A 333. EWR - capacity reduced from daily B 744 to daily A 346. PHL - frequencies reduced from daily to 6 weekly nonstop flights using an A 343. ABV - frequencies increased to daily flights using an A 333 six times per week + an A 343 once a week. Austrian Airlines has officially announced that it shall be increasing capacity on its route to Dubai, UAE from January 19th 2011 onwards. Currently, OS operates a daily nonstop flight using a Boeing 767-300ER which will from mid January onwards be increased to the larger Boeing 777-200ER. In addition, OS has too confirmed that it shall be increasing capacity to TLV-Tel Aviv with a double daily nonstop service using an Airbus A 321-200. JFK/AMS/BOM - daily same plane service using an A 332 instead of the route originating from ATL. EWR/AMS - capacity increased from a daily B 763ER to a daily A 332. ATL/AMS - capacity increased from daily A 332 to daily A 333. MEM/AMS - capacity increased from a daily B 763ER to a daily A 332. LAX/NRT - capacity increased from daily A 332 to daily B 744. NRT/HKG - capacity increased from daily A 333 to daily B 744. NRT/PVG - capacity increased from daily A 333 to daily B 744. ATL/MXP - frequencies reduced from 5 to 4 weekly nonstop flights using a B 763ER. HYD - frequencies increased from 4 to 5 weekly nonstop flights using a B 738. MNL - frequencies increased from daily to double daily nonstop flights using a B 738. 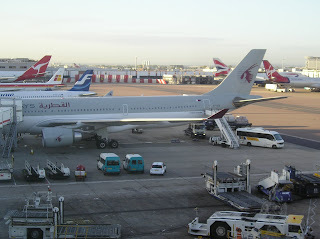 MLE - frequencies increased from 5 weekly to daily flights using an A 333. Royal Brunei has officially announced that it shall be increasing capacity on its route to Jeddah, Saudi Arabia effective August 2nd 2010. Currently, BI operates 5 times per week nonstop using a Boeing 767-300ER, however this shall change when from August it will be utilizing one of its leased ex SQ Boeing 777-200ER to operate the service. Thai Airways has officially disclosed many changes to its medium and long haul network from August 1st 2010 onwards. The main highlights are as follows: DXB - capacity increased from a daily 267 seater A 346 to a 388 seater B 777-300A i.e. 45% capacity increase! SYD - frequencies reduced from triple daily to double daily nonstop flights using an A 340-600 for both services. AKL - frequencies increased from 4 to 5 weekly nonstop flights using a B 772ER. HYD - frequencies reduced from 4 to 3 weekly nonstop flights using an AB6. BNE - frequencies increased from 3 to 5 weekly nonstop terminator flights using a B 772ER. DPS - frequencies increased from daily to 11 weekly flights using a B 773A daily + an A 333 four times per week. JKT - frequencies increased from daily to 10 times per week using an A 333 for all services. Thai Airways has officially announced that as part of its fleet modernization plan, it shall be leasing 8 Boeing 777-300ERs and purchasing 7 Airbus A 330-300s. The 7 A 333s will be exclusively used to on regional routes within Asia to boost capacity and replace all current routes operated by their aging AB6 fleet. The 8 B 773ERs on the other hand shall be utilized on high yielding long haul routes that see considerably business class traffic. Cathay Pacific has officially announced that it will be placing a large order for wide bodied jets this year (most likely at the Farnborough Air Show) to replace its fleet of Boeing 747-400s, Airbus A 340-300s and Boeing 777-200As / -300As as the carrier looks to streamline its fleet and cater for expected growth in traffic during the later part of the current decade. Thus far it has indicated that it will not order the Airbus A 380 and instead it shall be initially focusing its attention on both the A 350, B 773ER and B 787 family line to meet its expectations. 1. B 773As to be replaced by B 773ERs and used on regional routes in a 2 class configuration in the same manner that EK uses these aircraft on short/medium haul sectors. The B 773As need to be gradually replaced from 2013 onwards and in order to have fleet commonality, costs controlled etc, the B 773ER is the best replacement as its flexibility too would in the future allow longer range flights to new or existing markets. 2. A 343s, B 772As and A 333s to be replaced by A 359s due to the latter's similar pax carrying capability + greater nonstop flying range ability. 3. B 744s to be replaced by A 380s and not B 773ERs because the current CX B 744 fleet seats 380 pax approximately where as their B 773ERs seat only 301. Now a typical 3 class A 380 in CX's configuration would likely seat 500 pax which means 120 pax more than their B 744s i.e. nearly 30% more. One would instead suggest that the A 380s of CX be used exclusively as a 4 class aircraft with a new premium economy cabin added into the on board product so that the total 4 class capacity becomes 450 pax max which means 70 more than the B 744 i.e. approx 18% more which is manageable from a sales stand point. In addition, traffic volume on potential CX A 380 routes should increase by approx 20% over the next 5 years so this is all manageable. If CX orders A 380s at this summer's Farnborough Air Show, they would probably get the A 380s delivered from 2014 onwards. HKG-CDG...in this way like how SQ reduced ZRH frequencies, CX can fly a daily A 380 to CDG rather than 10 weekly B 744s. Emirates has officially announced at the Berlin Air Show that they have placed a massive order with Airbus for 32 additional Airbus A 380-800s. This means that by the time all these additional aircraft are delivered by 2017, EK's A 380 fleet size will jump from 58 to 90. EK too confirmed that these additional A 380s will not be used as a replacement aircraft for any of its wide bodied fleet and instead to propel further capacity growth in key high density markets worldwide. One should not be surprised at all if many of these A 380s end up being transferred to its aircraft leasing unit i.e. DAE and leased out to interested airlines worldwide. Some too feel that this order has also been placed in order to create a further backlog on the A 380 production line thus causing further delivery issues for carriers that would like to place new or additional orders. 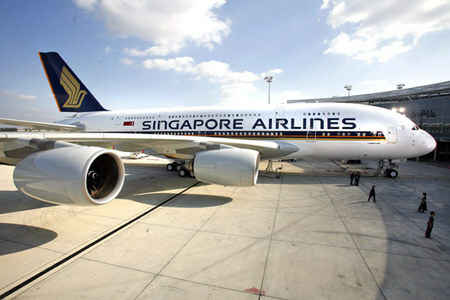 Singapore Airlines has officially confirmed that it shall be increasing its flights to Munich and Manchester from Sept 1st 2010 onwards. Currently, 5 weekly flights are flown as SIN-MUC-MAN-MUC-SIN with 5th freedom traffic rights on the MUC-MAN-MUC sector using a Boeing 777-300ER. However from Sept 1st, these flights shall witness a rise in frequency from 5 weekly to daily flights using the same aircraft type. GIG - frequencies increased from 12 weekly to double daily nonstop flights using a B 744 and an A 332 each daily. NRT - frequencies reduced from 20 weekly to double daily flights flown nonstop using an A 380 and B 773ER each daily. ATL - capacity increased from daily A 343 to daily B 772ER. 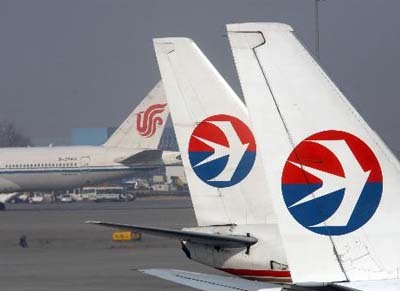 China Eastern Airlines has officially announced that it will be increasing its flights to YVR-Vancouver and JFK-New York City from its PVG-Shanghai hub effective Oct 31st 2010 onwards. Services to JFK shall be increased from 5 weekly to daily nonstop flights using an A 340-600 where as operations to YVR are to be upgraded from 4 weekly to daily nonstop flights using an A 340-300. British Airways has officially revealed details of the layout of its new Boeing 777-300ER cabin configuration as well as what routes it shall be operating on from the on set of the IATA Winter 2010 timetable. BA's B 773ERs will seat a total of 297 seats in a 4 class configuration i.e. 14 first class + 56 business class + 44 premium economy and 183 economy class. 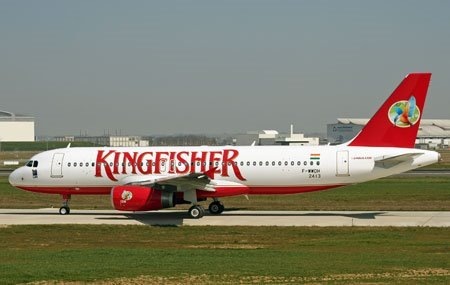 The initial routes that shall be getting these new aircraft are Mumbai and Dubai only. Hence for the Winter 2010 season, BA's capacity to BOM will drop from a daily B 744 + daily B 772ER to a daily B 773ER + daily B 772ER where as DXB's capacity too shall be reduced as it will see a daily B 773ER + daily B 772ER + daily B 763ER operating rather than a B 744 for the winter season. Alitalia is expected to announce shortly that it will be increasing its flights to Japan in particular NRT-Tokyo from Nov 1st 2010 to take full advantage of the withdrawal of JAL-Japan Airlines on the high yielding Italy-Japan sector. AZ plans to add an additional weekly flight operated nonstop both from its Rome and Milan stations to Tokyo which shall see the carrier offering a total of 14 weekly flights on the Tokyo route i.e. 10 from FCO and 4 from MXP. United Airlines has officially confirmed that it shall be reducing capacity to BKK-Bangkok from July 1st. Currently, UA operates a daily Boeing 747-400 to BKK via Tokyo with full 5th freedom traffic rights however it will be reduced to a daily Boeing 777-200ER as the B 744 will instead be used to boost capacity to TPE-Taipei which is also flown via NRT. UA too announced that it shall be boosting capacity to BRU-Brussels from its IAD-Washington hub for the IATA Winter 2010 season from a daily Boeing 767-300ER to a daily Boeing 777-200ER. DEL / HKG - frequencies increased from 6 weekly to daily nonstop flights using an A 332. DEL / BKK - frequencies increased from 6 weekly to daily nonstop flights using an A 320. BOM / BKK - frequencies increased from 6 weekly to daily nonstop flights using an A 320. Continental Airlines has officially announced that its first route to be flown with its new Boeing 787-800 fleet shall be a new destination in itself. New daily nonstop flights to Auckland, New Zealand have been chosen as the launch route flown from its IAH-Houston hub. The flight time is 15 hours and the configuration of its B 788s will have 228 seats in a 2 class layout i.e. 36 business class + 192 in economy class. This has come as quite a shock to many as no one expected IAH-AKL to be the initial route operated by CO's maiden B 788s nor did anyone expect IAH-AKL to be even in the short term expansion pipeline! Anyways, other routes ear marked by CO to be operated by their B 788 fleet are a new daily same plane service IAH-EWR-DXB, replacing B 772ERs to both BOM and DEL, replacing B 764ER on IAH-CDG, replacing B 762ERs from both EWR and IAH to GRU, replacing B 762ERs from IAH to EZE and new daily service to West Africa (most likely LOS) from EWR. One should also expect SE Asian routes such as IAH-ICN (with OZ code sharing) and IAH-China too launched within the next 3-4 years with the B 788s if the worldwide economy holds fort. 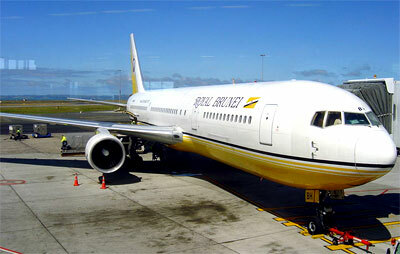 BOM/SIN - capacity increased from a daily A 319 to a daily B 773ER. BOM/DXB - capacity increased from daily A 321 to a daily B 773ER. It will be a daily same plane service DXB-BOM-SIN henceforth! COK/CCJ/JED - capacity increased to 5 weekly B 744s. 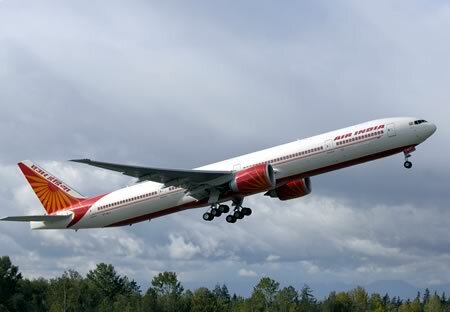 Air India also has officially announced that it shall be launching new services to ICN-Seoul, South Korea from Aug 1st 2010 onwards. AI will be operating to ICN from Delhi via Hong Kong four times per week using a Boeing 777-200LR with full 5th freedom traffic rights available on the HKG-ICN-HKG sector. ORD/FRA - all flights suspended from Nov 16th onwards. JFK/FCO - all flights suspended from Nov 16th onwards. ORD/DUB - all flights suspended from Oct 29th onwards. Services on all the above mentioned routes shall resume on a daily basis effective April 5th 2011. Looks like AA takes quite a beating on the Star Alliance UA-LH dominated FRA-ORD route. It shall be interesting to see where these 3 B 763ERs get re deployed to in the winter season. One would assume boosting capacity to Hawaii and Latin America! TAM of Brazil has officially announced that it will be launching new nonstop flights to Frankfurt from its Rio De Janerio hub from August 1st 2010 onwards. JJ will be operating this route 5 times per week using an Airbus A 330-200.